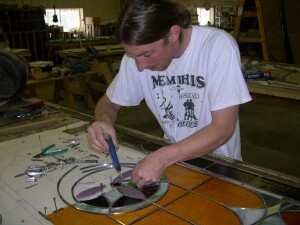 Stain glass restoration services are available during your church restoration project. Our superior craftsmen will restore the rich color and luster your historical stained glass once displayed. 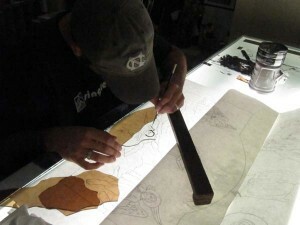 We have reverence for the original artist, as well as subject matter, for each stained glass restoration project. We have uncommon appreciation for the original artist's work and respect for the work's setting. Our stained glass restoration services include major or minor repairs to stained glass and are happy to quote on any work you need performed including total restoration, cleaning, and weather protection of the surrounding framework and the art. We are fully aware and are sensitive to the fact that the needs for each church congregation may be different. Before making a decision to restore stained glass throughout your church, first evaluate the history and value of each window. If your facility's board or committee chooses to proceed with the restoration of worn, cracked, weathered, broken, or bulging stained glass, Church Interiors will be eager to offer a detailed quote. The quote and restoration timetable provided by our company will include a detailed description of the steps required to revert damaged or aged stained glass windows back to their original condition. Whether your restoration project is for a simple design or a very intricate creation, your treasures deserve the best care and highest quality restoration work.